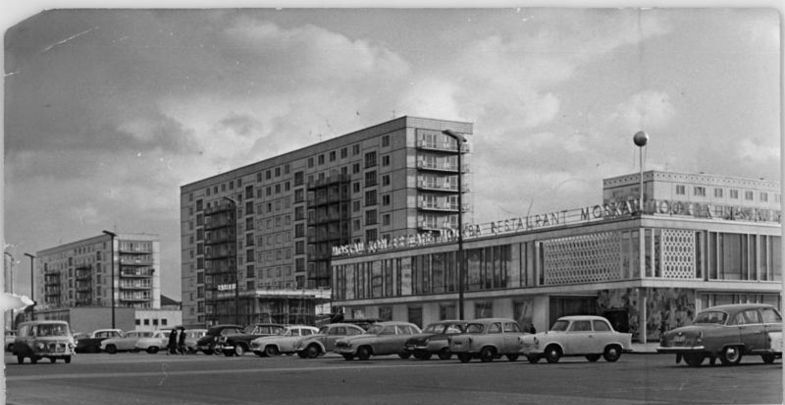 Cafe Moskau experience a lot of changes since 1961. Built from designs by Josef Kaiser Cafe Moskau was the center of the first socialistic residential complex at Karl-Marx-Allee, former Stalinallee. The prestige building was supposed to symbolize the brotherhood between DDR and Soviet Union. 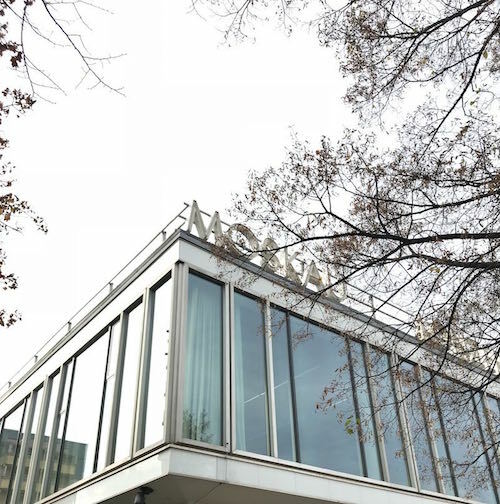 From then on guests of Cafe Moskau were able to enjoy russian dishes, drink Mocca at the bar, have fun at the dance cafe or visit the night bar in the basement. Little souveniers from the Soviet Union could be bought at the shop for arts and crafts “Natascha”. The comfortable interior design gave the visitors the feeling of exclusivity and uniqueness. Moreover Cafe Moskau was a popular meeting point for blackmarket and spying activities. 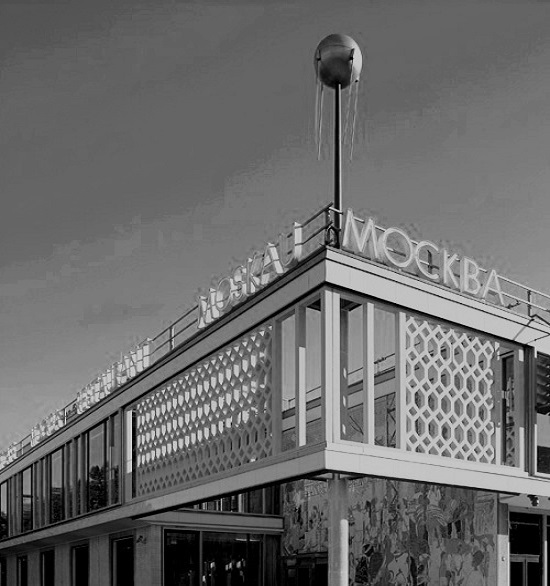 The Sputnik was recreated in the original size and still decorates the entrance of Cafe Moskau. It was ought to show the progressiveness of the Soviet Union and was a present by the ambassador of the USSR. Cafe Moskau was restructured by Gerd Pieper. The wanted transparency and openness of the light-flooded rooms gave way to the spirit of the age. It was a architectural step back into the 1950s. Everything was decorated more cosy and warm, rooms were divided and height reduced. Cafe Moskau became a listed building in 1989 and was therefore permanently secured as cultural asset. In 1995 restaurant business ceased. Around the turn of the millenium Cafe Moskau was being used again. The WMF-Club as well as the legendary GMF-Parties that took place on sundays celebrated great success there. 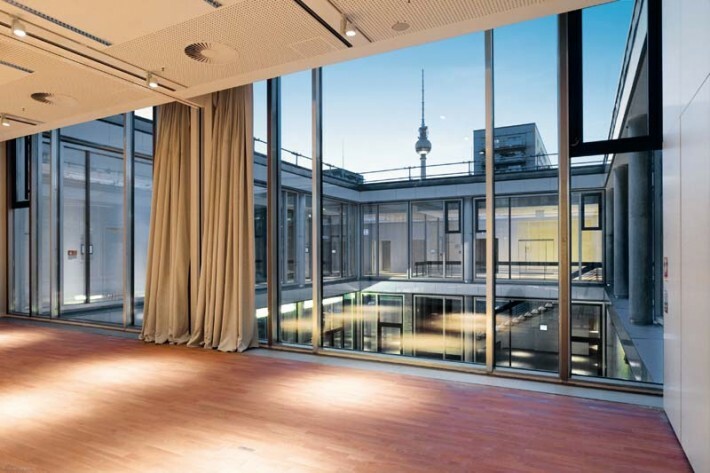 Nicolas Berggruen Holdings GmbH had the historic building fully renovated and the old charm of the 1960s was restored. Since 2009 the legendary Cafe Mosku is used as a multifunctional event venue for up to 2.400 persons.  The facade of Cafe Moskau was honored with the “federal award for handicraft of monument preservation” which was awarded by the Deutsche Stiftung Denkmalschutz. 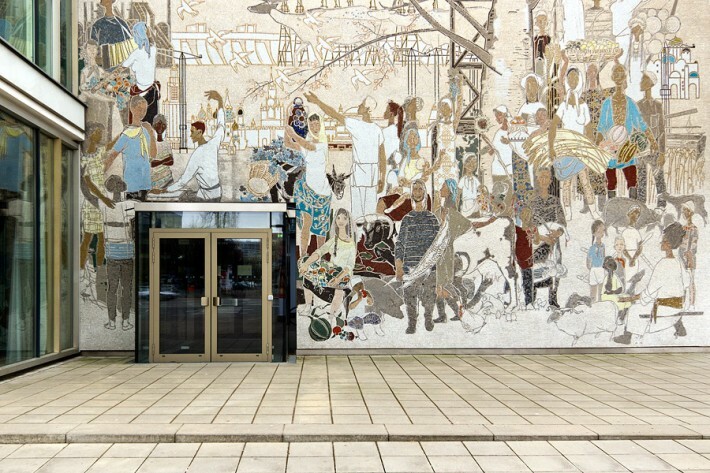 The mosaic “From the life of the peoples of the Soviet Union” is a work of art by Bert Heller. Lisa Wege and Katajun Fakhoury became operators and are now organizing events at Cafe Moskau with their team. Built from designs by Josef Strauß Cafe Moskau was the center of the first socialistic residential complex at Karl-Marx-Allee, former Stalinallee. The prestige building was supposed to symbolize the brotherhood between DDR and Soviet Union. 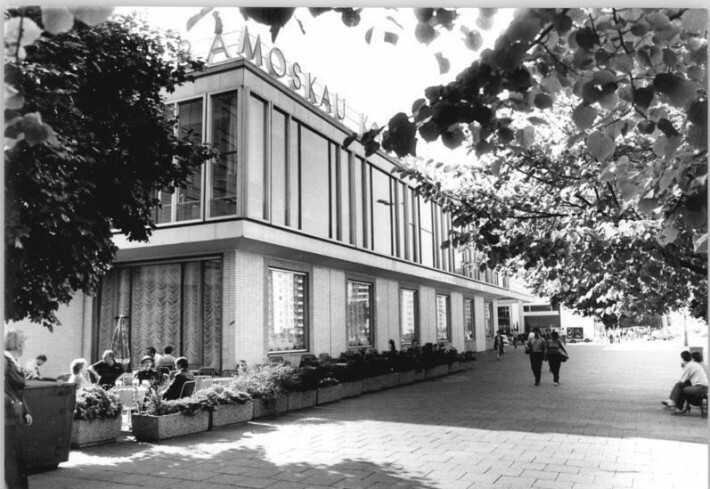 Cafe Moskau became a listed building in 1989 and was therefore permanently secured as cultural asset. In 1994 restaurant business ceased . Nicolas Berggruen Holdings GmbH had the historic building fully renovated and the old charm of the 1960s restored. 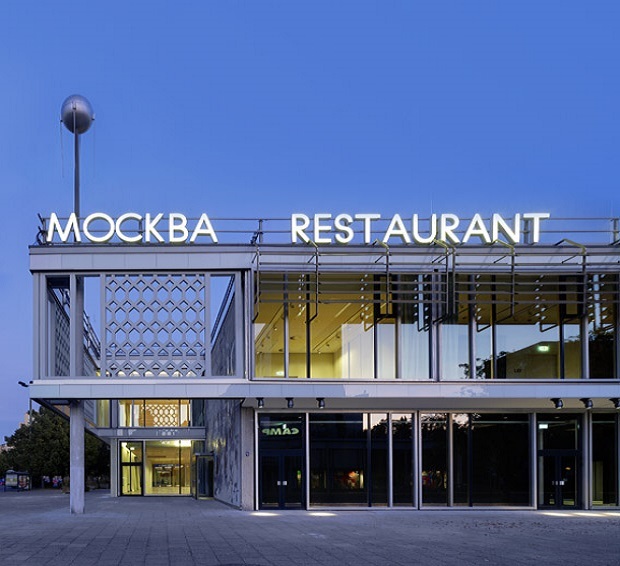 Since 2009 the legendary Cafe Moskau is used as a multifunctional event venue for up to 2.400 persons.